TIGER WOODS won his fifth Masters on Sunday, his first major in 11 years, to complete one of the great athletic comebacks in recent sports history. He tapped in for bogey and a 2-under 70. “WOOOOOOO!! 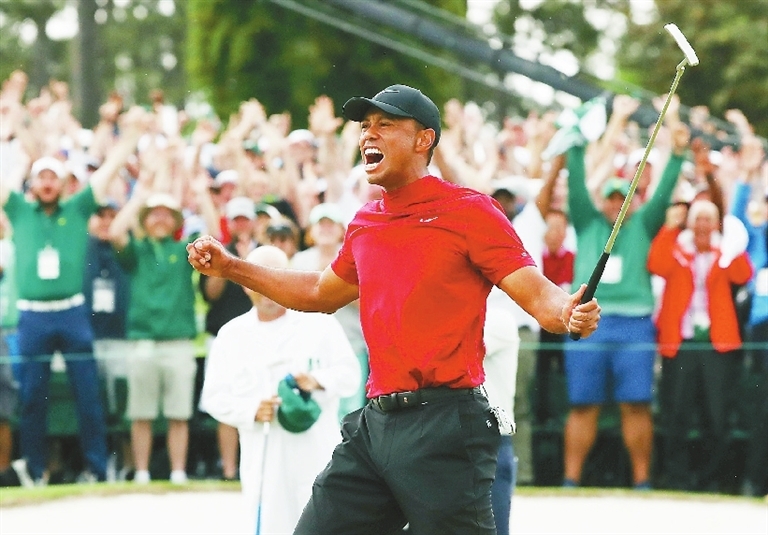 !” Woods screamed as he headed for the scoring room with chants of “Tiger! Tiger! Tiger!” He had never hugged more people, everyone in his camp who stood by him through a public divorce, an embarrassing mug shot from his DUI arrest when he took a bad mix of painkillers and the four back surgeries, the most recent to fuse his lower spine. It rates among the best because Woods has meant so much to so many in a sport he ruled for so long.